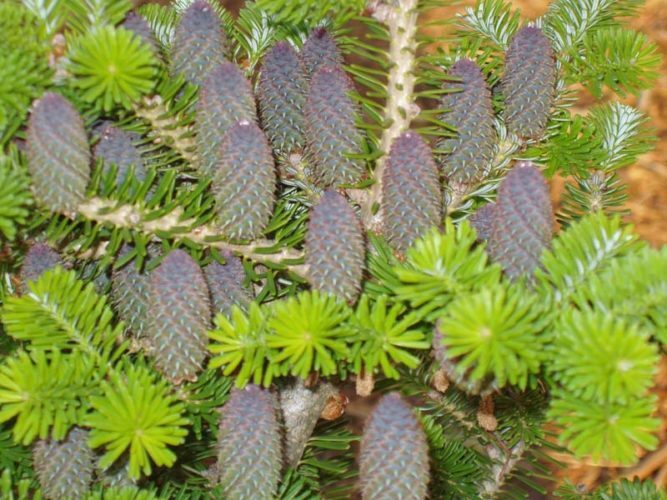 Abies koreana 'Nanaimo' cones freely with bright Blue cones at an early age. 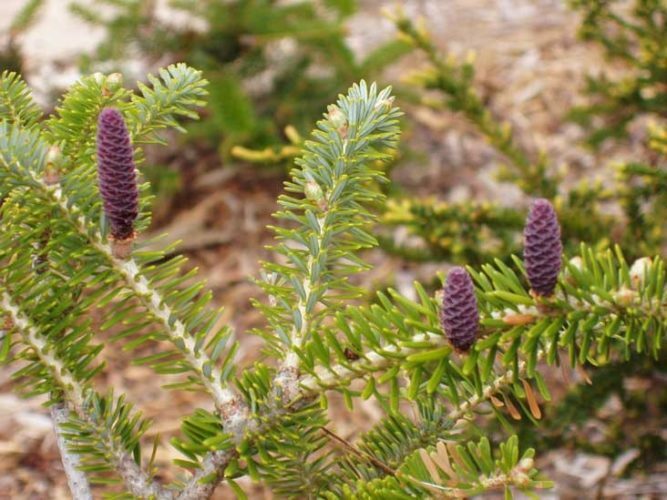 Early clusters of purple cones on a slow growing plant. 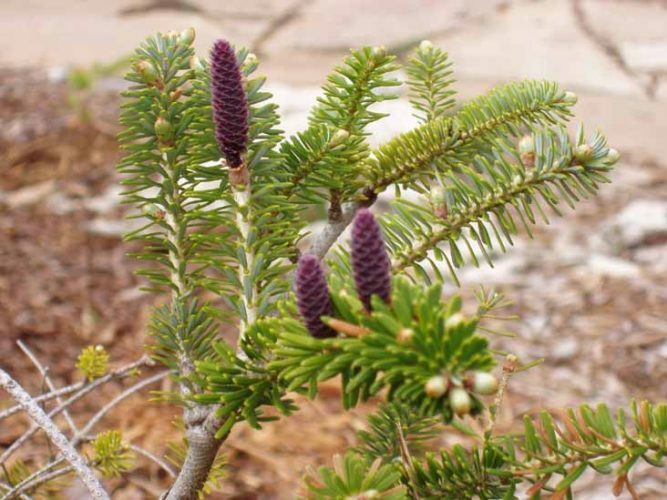 Rich's Foxwillow Pines has a large specimen about 25 feet (7.6 m) tall and has a narrow conical form covered in bright purple cones. 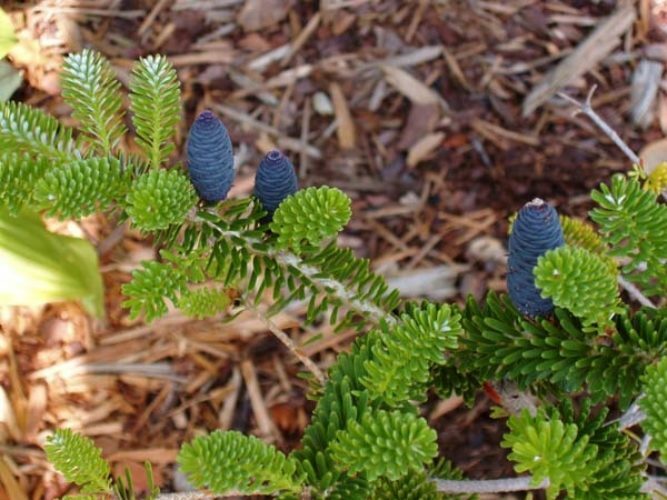 Abies koreana 'Nanaimo' Bright blue cones. 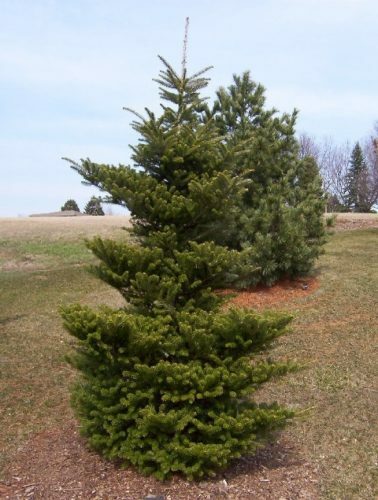 Abies koreana 'Nanaimo' This photo was taken at Bickelhaupt Arboretum located in Clinton, IA in their 'Heartland Collection of Garden Conifers' in March of 2004.